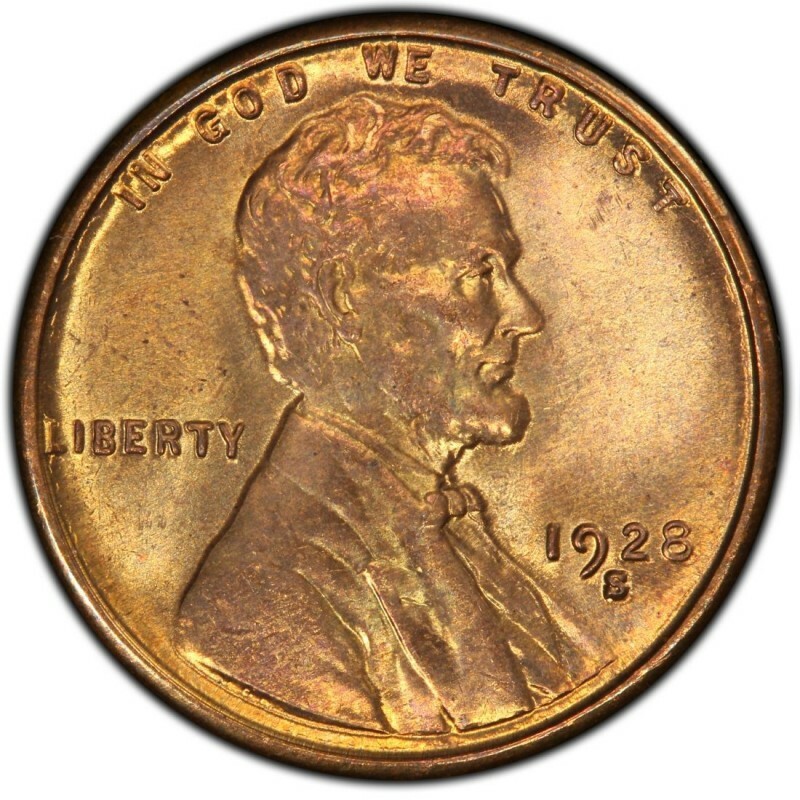 1928 is definitely a common year among Lincoln Wheat Penny coins, and that is reflected in the relatively plentiful availability of one-cent coins from that year. Across the board at all three mints operating in 1927, (Philadelphia, Denver, and San Francisco), there were tens of millions of 1928 Pennies struck. Looking at the mintage figures for Lincoln Pennies from 1928, one will see that 134,116,000 were struck at the Philadelphia Mint (no mintmark), 31,170,000 at the Denver Mint (mintmark: D), and 17,266,000 at the San Francisco Mint (mintmark: S). On the topic of the San Francisco Mint, there are actually two varieties of 1928-S Lincoln Wheat Penny coins: the 1928-S large mintmark variety and 1928-S small mintmark variety. Neither is presently worth much more than the other, but the two types of 1928-S cents do keep coin collectors, most especially Lincoln Penny enthusiasts, on their toes. 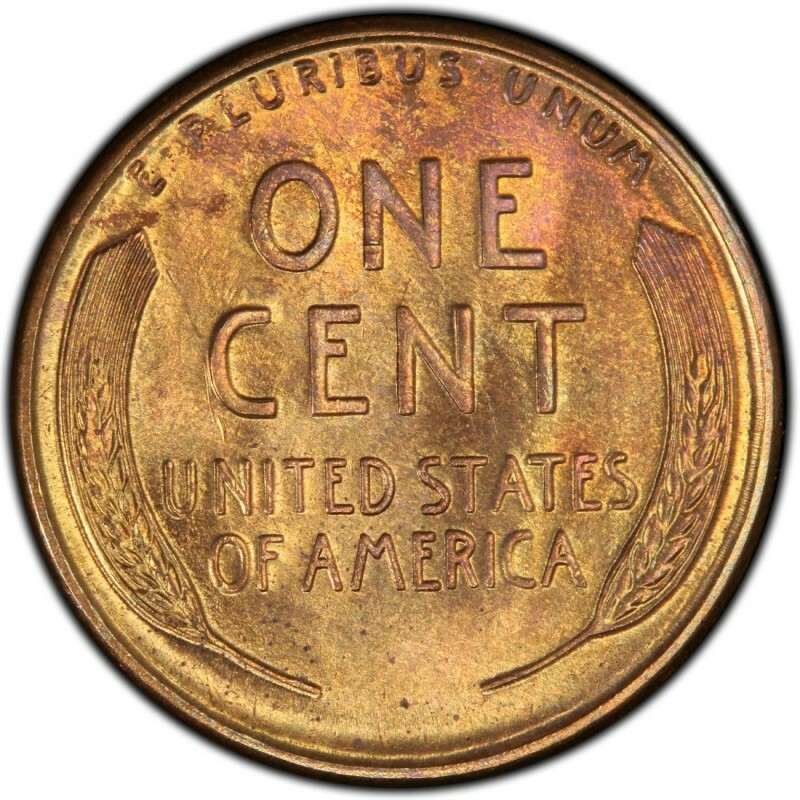 1928 Pennies from all three mints are obtainable for less than 50 cents each in the lowest circulated grades, with major variances in value as you approach the uncirculated grades. A 1928 Penny from the Philadelphia mint can be bought for around $20 in Mint State 63 on the Sheldon Coin Grading Scale, whereas a 1928-D will set collectors back around $80 in MS-63 and a 1928-S over $120 in MS-63.